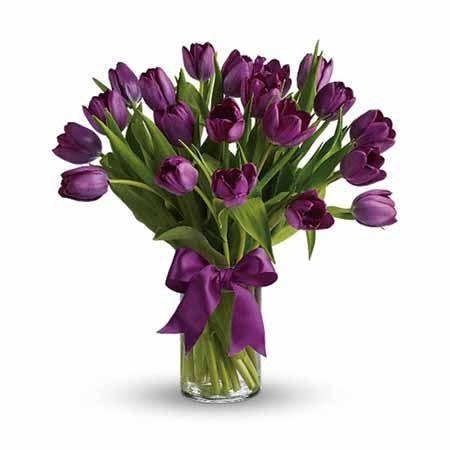 Send tulips today in an exquisite shade of dark purple, for a bouquet of tantalizing elegance! 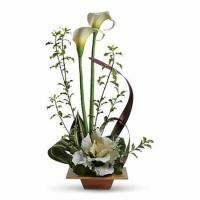 Beautifully presented in a clear cylinder vase, this arrangement is accented with a decorative ribbon to make them gasp. This display makes the ideal floral gift for anyone who loves unique deep colored blooms. 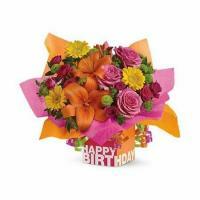 It's a great centerpiece for an anniversary, happy birthday, or flower delivery for friends. 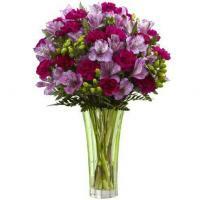 Loved ones and family members alike can enjoy this lush violet hue. 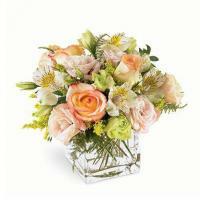 Whether sending flowers to friends, mom or dad, they're sure to spark happiness within their heart.